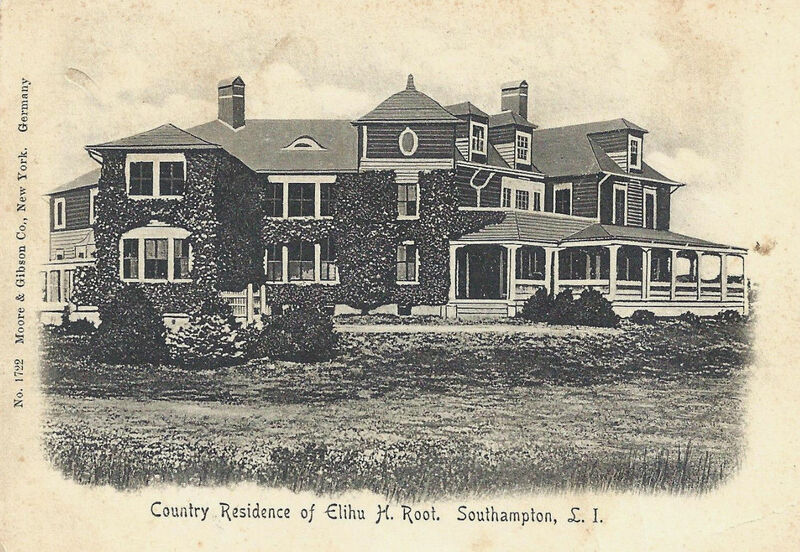 'Mayfair', the Elihu Root estate designed by Carrere & Hastings c. 1896 in Southampton. Click HERE for more on 'Mayfair' and HERE to see the residence on bing. The number of statesmen and diplomats from Long Island that have served the country is truly impressive. Root is one of the 11 Secretaries of State that can be found in the 21-page compilation of "Long Island Statesmen and Diplomats" that I have posted on my website spinzialongislandestates.com. What is that odd thing on the upstairs porch? An early satellite dish? Clothes line ?